It’s difficult to avoid the lure of the high street sale, but modern consumers are finding alternative ways to satisfy their need to nab a bargain. After a survey of 2000 UK women conducted by LoveSales.com we found that despite 63% of UK women saying they love saving money in sales, 74% are fed up of trekking round shops during busy sale periods. When asked for reasons why, 70% say they hate the queues and crowds. 68% blame their outrage on having to sort through messy piles of sale items and 58% are frustrated at not being able to find their size. But there’s a problem. 75% of women confess that they “love” shopping, 25% say they are addicted and 92% of those who enjoy a bit of retail therapy say it cheers them up after a bad day at work. And the lure of the sale is strong. 41% say that braving a sale allows them to buy something they couldn’t otherwise afford. Half confess that they love the thought of getting a bargain and a quarter enjoy finding an unusual item they wouldn’t otherwise have looked for. 36% of women admit their frustration at paying full price for an item they then see on sale and for 35% seeing a full priced item they like reduced is a clear cue to buy. What’s the solution? Shop online. 59% of respondents now monitor items online, usually to make sure they get the best price, and over a third are monitoring two or more items at once. 50% of respondents who named clothes or handbags as one of their favourite things to buy also stated that they now prefer to buy them online. By doing so women are also able to make more informed purchases. 51% admit that after opting to “keep an eye” on an item and mull over a purchase they will change their mind. With 45% of women admitting they get a real buzz from buying new clothes, shoes or accessories and 51% saying that if they see something they like they think about it constantly, shopping and sales look set to continue to walk hand in hand, but in the future it may only be through the comfort of your own home. This entry was posted in LoveSales News on November 13, 2015 by Charlotte Williams. Valentines Flowers – Win a red rose bouquet! 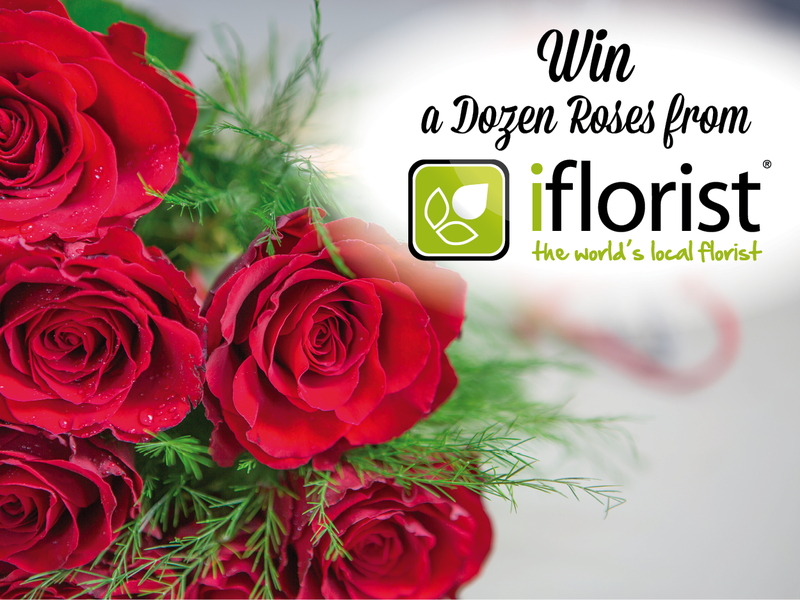 To help you win over the ones you admire on Valentines Day we have teamed up with iFlorist to give you an amazing competition! This entry was posted in LoveSales News on February 6, 2015 by Charlotte Williams.